Despite the widely reported erratic and bizarre behavior which resulted in the mass resignation of his staff after an electoral victory, congressman David Wu is doing his best to convince his constituents that his mental health issues are behind him. After his Astoria appearance Saturday, Wu took questions Monday from a largely sympathetic audience at the Washington County Democratic Central Committee, four months after an angry address to the group prompted a complaint from a Democratic activist and fueled concerns among staff that Wu needed psychiatric care. Robert Seward, a retired physician from Forest Grove, wanted to know specifics about Wu’s mental and physical health and the treatment he’s received. Wu said he’s had a physical since the election and that Wright would be impressed with his doctor’s reports. I hope that Representative Wu’s proplems are behind him. Back on January 20 just after the tragic shooting in Tucson I called on those nearest to Congressman David Wu to have his mental health evaluated. His bizarre behavior and actions led me to suspect that he was in need of treatment and I even went so far as to suggest that he may be a danger to himself or others. Now it has come to light that he may well have been in need of treatment. Michelle Malkin documents his story today on her site. I am always careful to comment on the mental health of others but given the tragedies in Tucson, Virginia Tech and elsewhere we really must have the courage to get those in need some help. Instead of resigning ﻿The Hill is now reporting that he has filed for re-election. Since the tragic shooting in Tucson we have seen a hypersensitivity to political rhetoric and a call to stop using any gun or shooting references. Of course it is clearly evident to everyone that the tragic shooting in Tucson was committed by a deeply disturbed individual who was completely detached from reality including any political rhetoric. This tragic and heinous act resulted from the failure of the family and the community to commit a very sick individual in their midst to psychiatric care and had nothing to do with political rhetoric. In my opinion if any sensitivity should be elevated it should be a heightened awareness of the mental health of those around us and instead of merely banning those deemed to be a danger to themselves or others from the school campus or the workplace we need to insure these people are treated. It appears that the very same House of Representatives that Giffords serves has a member that is showing some signs of mental stress and socially unacceptable behavior that warrants further investigation and a complete psychiatric examination to evaluate his mental health. According to The Oregonian Congressman David Wu of Oregon is displaying increasingly more bizarre public behavior and has lost at least six staffers plus the leadership of a veteran campaign team that guided him to a seventh term amid complaints. The exodus includes Wu’s longtime chief of staff, Julie Tippens, and communications director, Julia Krahe, both in Washington, D.C. Krahe left without securing a job while Tippens took a similar position with a lawmaker with far less seniority. In addition, Wu has lost virtually his entire political team — people who have been with the Democrat for more than a decade — including his chief fundraiser, Lisa Kurdziel, and chief pollster, Lisa Grove, who told The Oregonian she wouldn’t work for him again. I am no doctor but this sounds like a huge Red Flag that warrants further research. Wu has been identified as peculiar or strange since his infamous Klingons in the Whitehouse floor speech in 2007. The oddest thing about this speech is his distinction between “real” Klingons and “faux” Klingons. 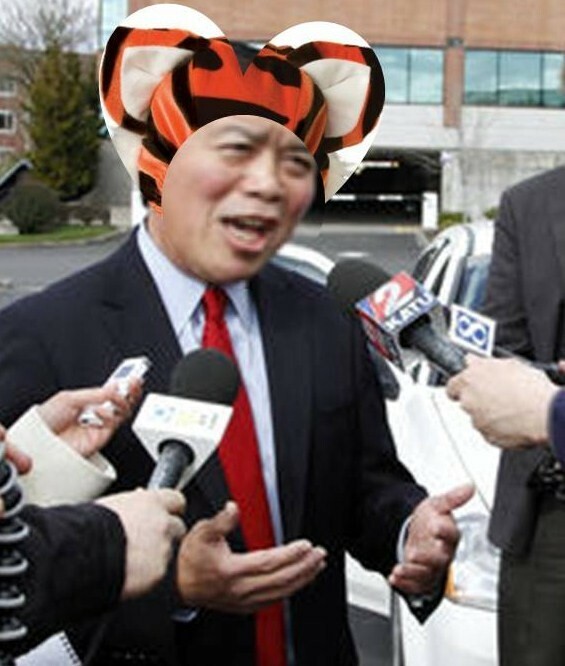 But the staff departures come amid questions about Wu’s behavior during the campaign. On Oct. 27, he gave a speech so negative and loud that a Washington County Democratic Party member complained formally to his office. 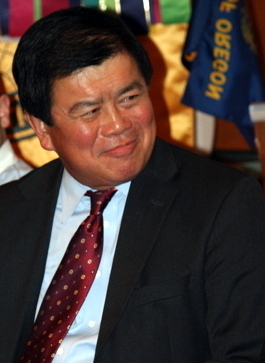 The outburst was followed two days later by an episode at Portland International Airport, where Wu used his influence as a member of Congress to enter a restricted area and campaign for votes from off-loading passengers. One passenger filed a complaint, and a Transportation Security Administration employee was later required to be retrained for his lapse in letting Wu past security. I question whether his increasingly bizarre behavior is limited to public incidents as in addition to losing his staff, Wu’s wife has also reportedly recently left him. Apparently his condition was such that he made no public appearances on the Saturday, Sunday and Monday before the election and did not resurface until after 10 on election night. While many contend that an increased level political rhetoric is a threat to our elected leaders I fear that our failure to identify and treat those around us who suffer from mental illness to the degree that they are a danger to others or themselves is much more of a threat. 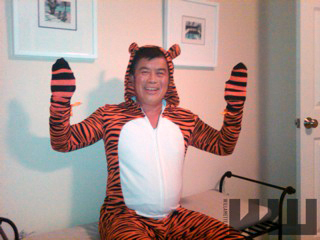 While of course I have no way of knowing Wu’s mental state, I urge those that are in a position to, would urge Congressman Wu to seek full mental health exam if he has not already done so, for his sake and the sake of those around him.